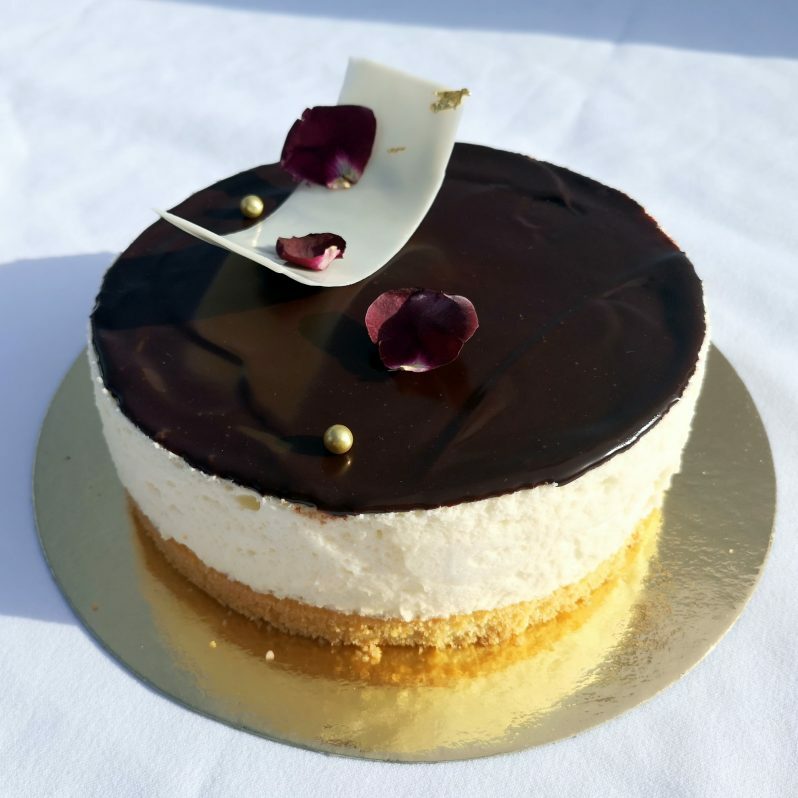 A whipped cream filling turned into a delicate mousse, creating a jell-o like cake with delicious cherries. 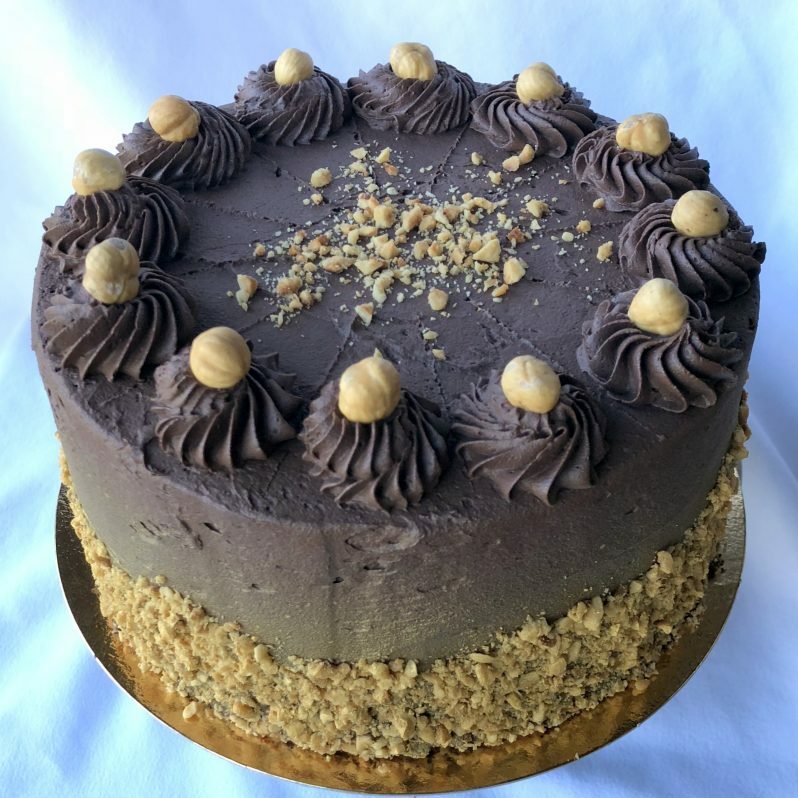 If you like Ferrero Rocher truffles you will definitely love this heavenly Ferrero Rocher cake inspired by their richness and flavor. Ingredients: butter, powdered sugar, sugar, Nutella(sugar, palm oil, hazelnut, skimmed milk powder, cocoa powder, soya, vanilliin), cocoa powder, buttermilk, water, hazelnut, flour, oil, baking soda, baking powder, salt, vanilla. 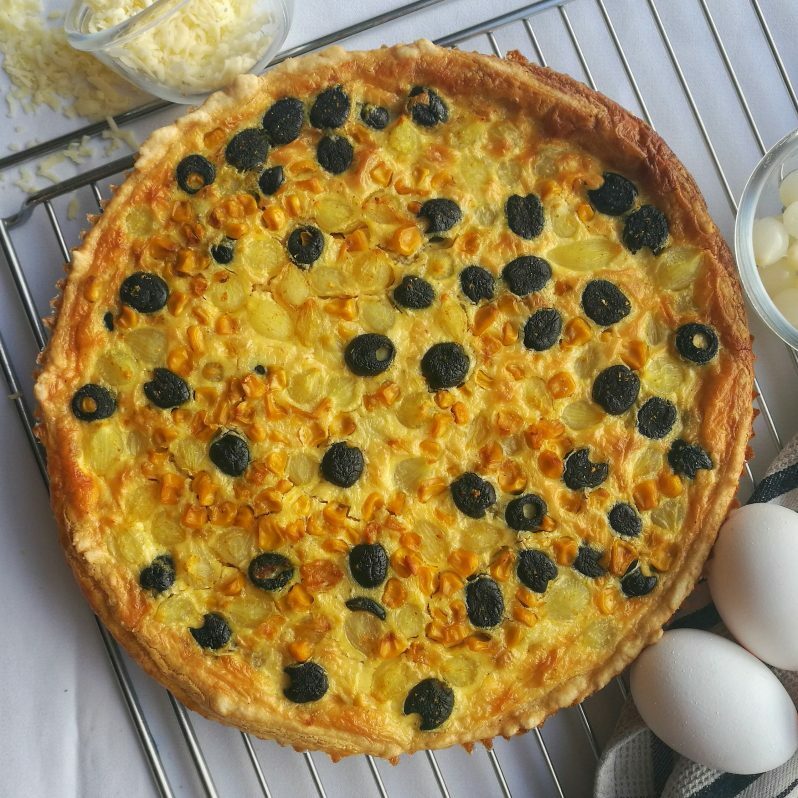 A savory open-faced real butter pastry crust filled with onions and goat cheese. Suitable for 4 hungry people. 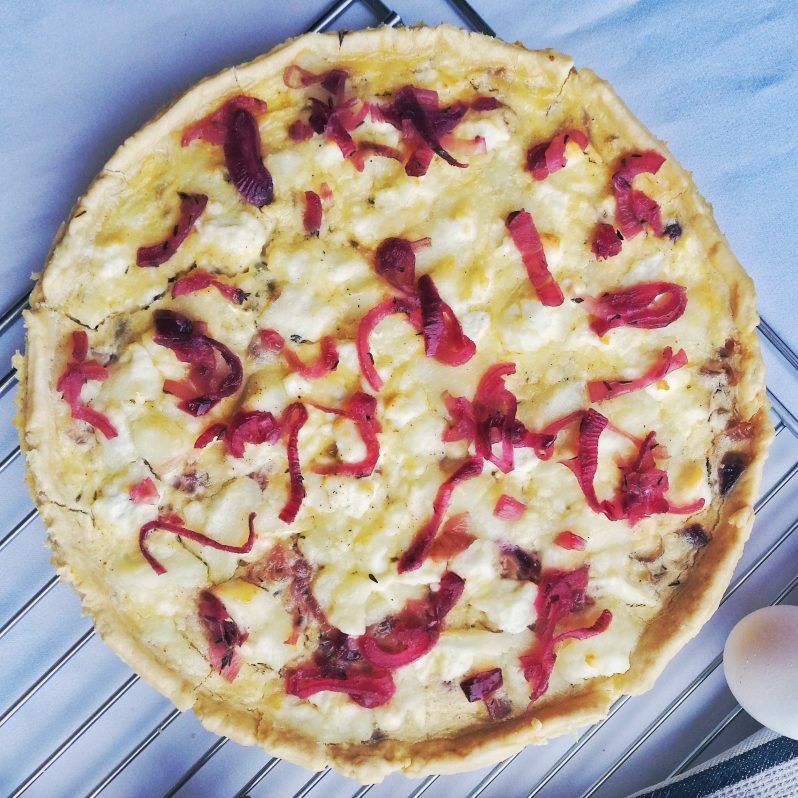 Ingredients: flour, milk, egg, red onion, honey, white vine vinegar, goat cheese, butter, heavy cream, thyme, salt, pepper, nutmeg, cayenne pepper. A savory open-faced real butter pastry crust filled with Mexican-inspired spices and juicy corn. Suitable for 4 hungry people. Ingredients: flour, milk, egg, olive, corn, pearl onion, cheese, butter, heavy cream, salt, pepper, nutmeg, and cayenne pepper. 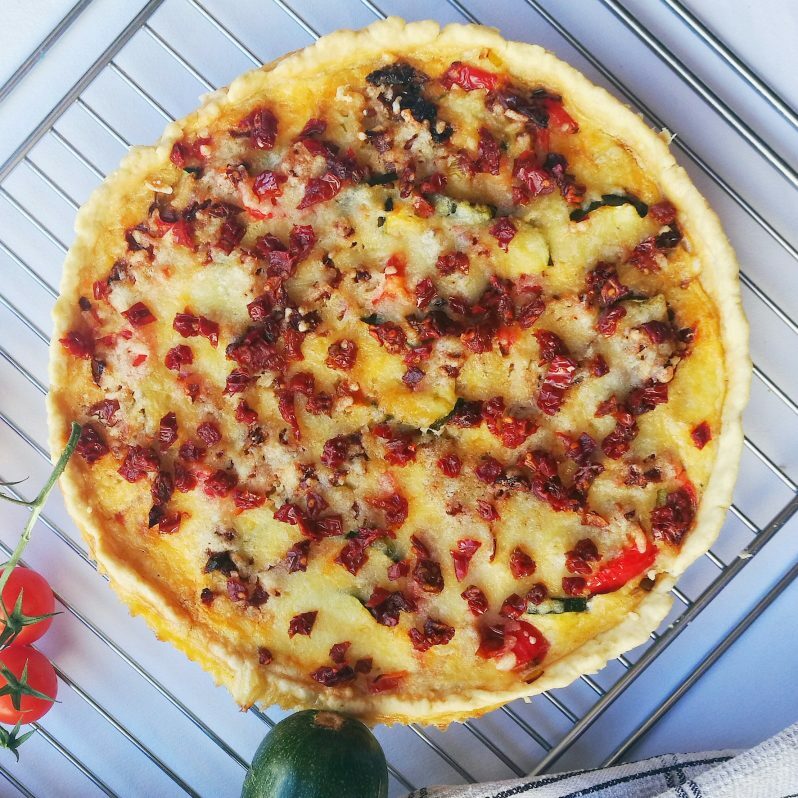 A savory open-faced real butter pastry crust filled with fresh vegetables and sun-dried tomatoes. Suitable for 4 hungry people. Ingredients: flour, milk, egg, zucchini, bell pepper, cheese, sun-dried tomato, butter, heavy cream, salt, pepper, and nutmeg. 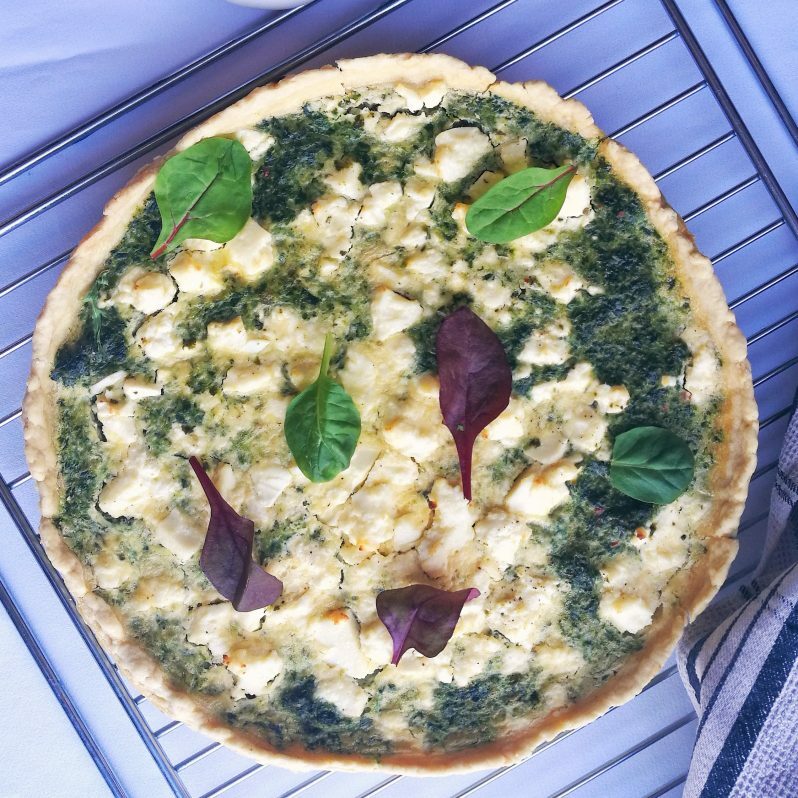 A savory open-faced pastry crust filled with spinach and Feta cheese. Suitable for 4 hungry people. Ingredients: flour, milk, spinach, egg, Feta cheese, garlic, butter, heavy cream, salt, pepper, nutmeg, mixture of herbs. 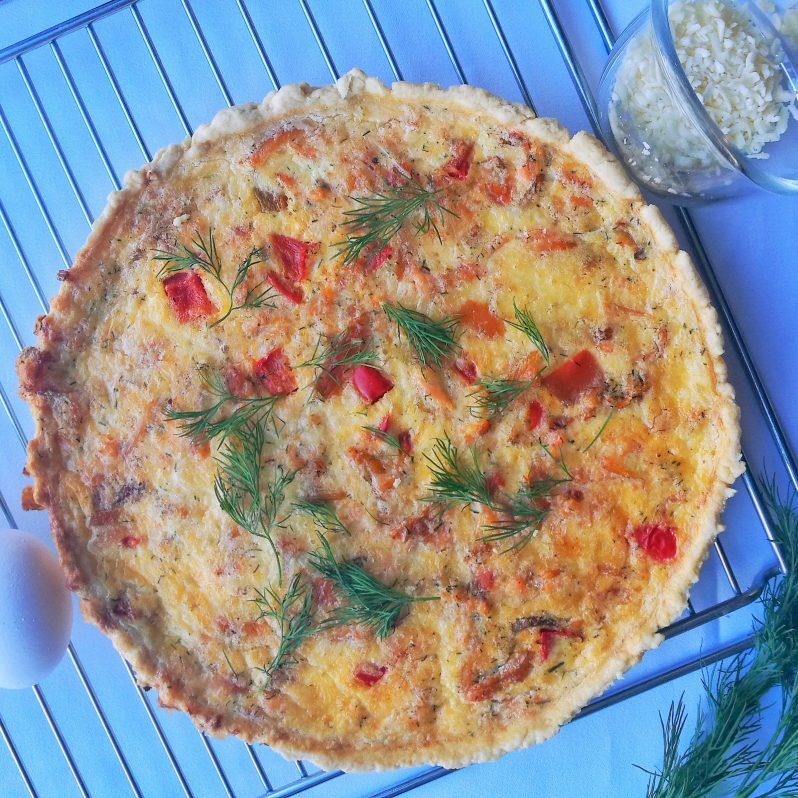 A savory open-faced pastry crust filled with smoked salmon, bell-pepper and cheese. Suitable for 4 hungry people. 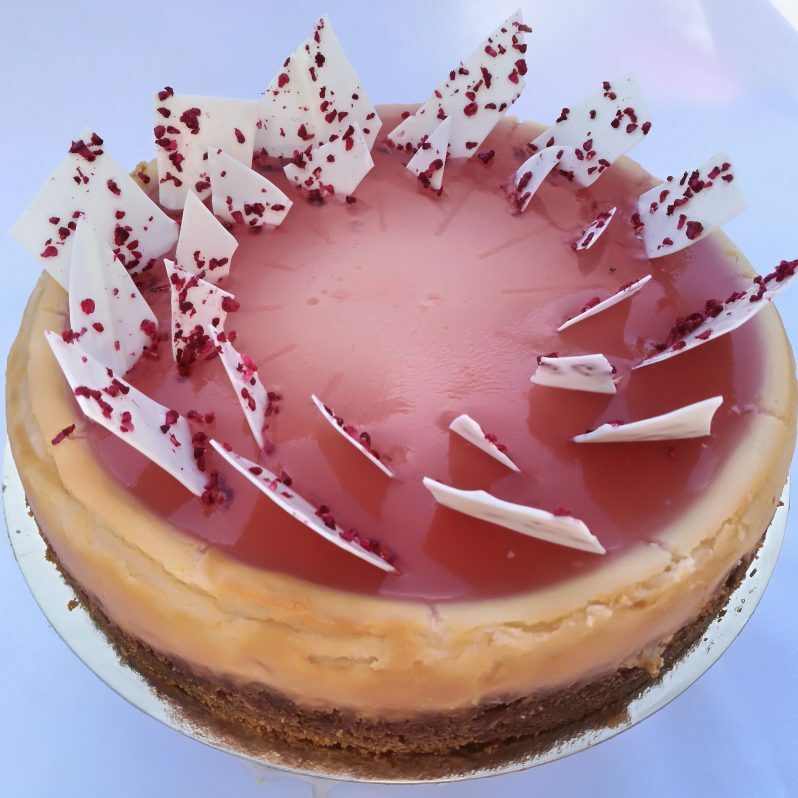 Creamy Rhubarb Cheesecake is full off spring flavors – sweet and sour. 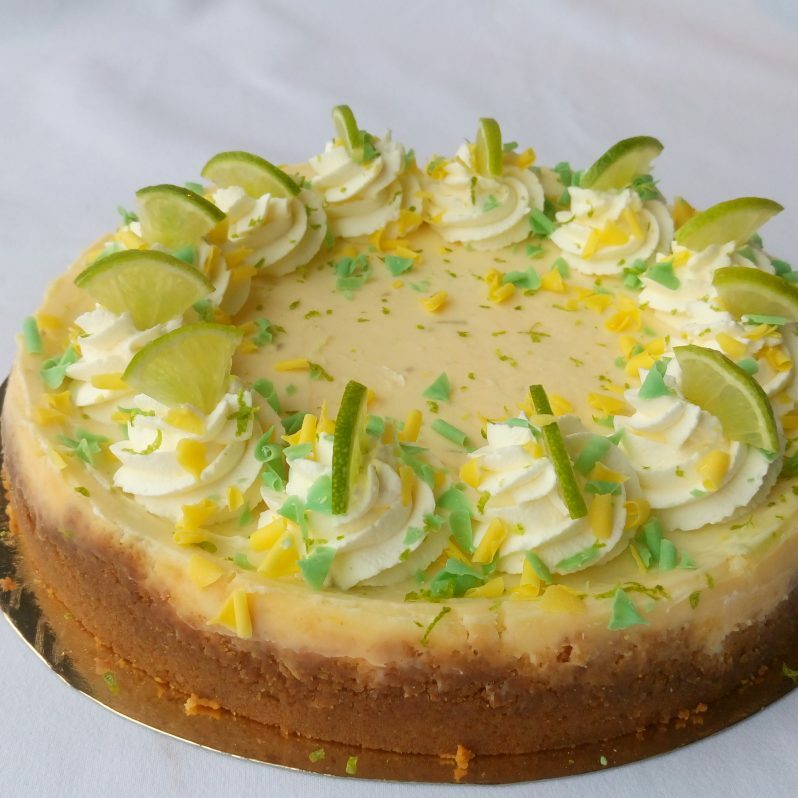 Creamy cheesecake flavored with the classic Margarita cocktail ingredients. 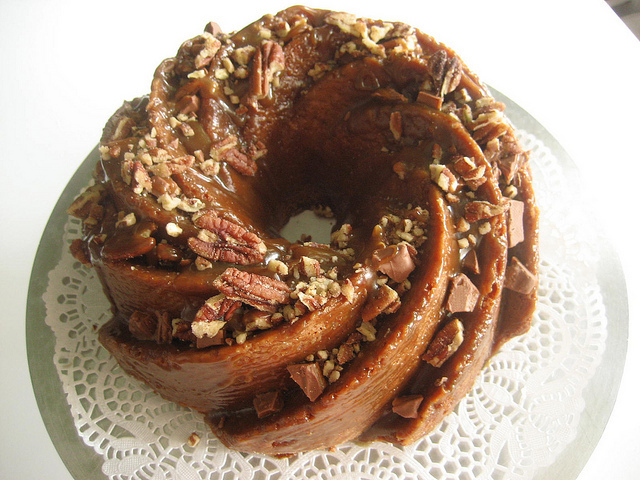 Soft bunt cake that is soaked in caramel. 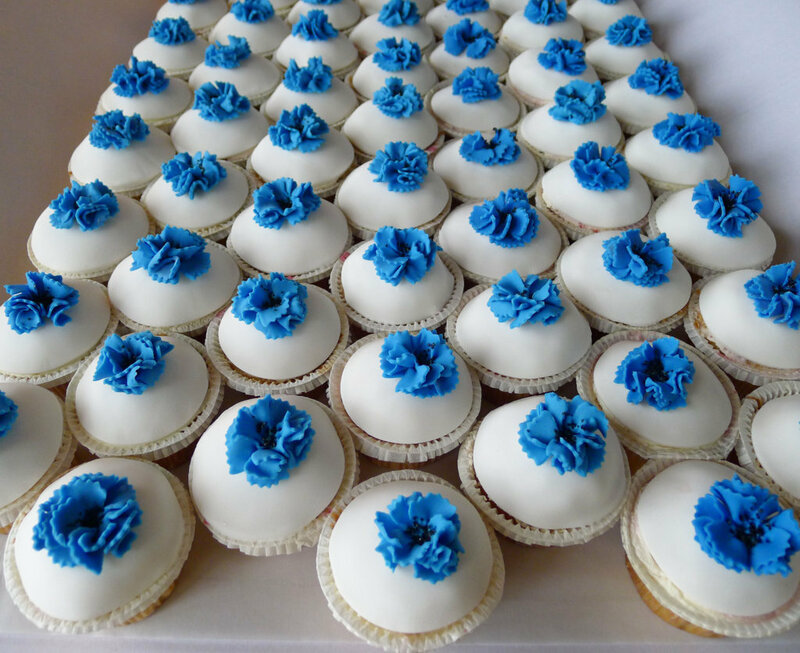 Decorated with caramel chocolate. Brings a smile on every caramel lovers face. We suggest warming it up in the oven or microwave to enhance the flavors prior to serving. Ingredients: flour, kefir, butter, sugar, egg, baking powder, vanilla extract, soda, chocolate decor. 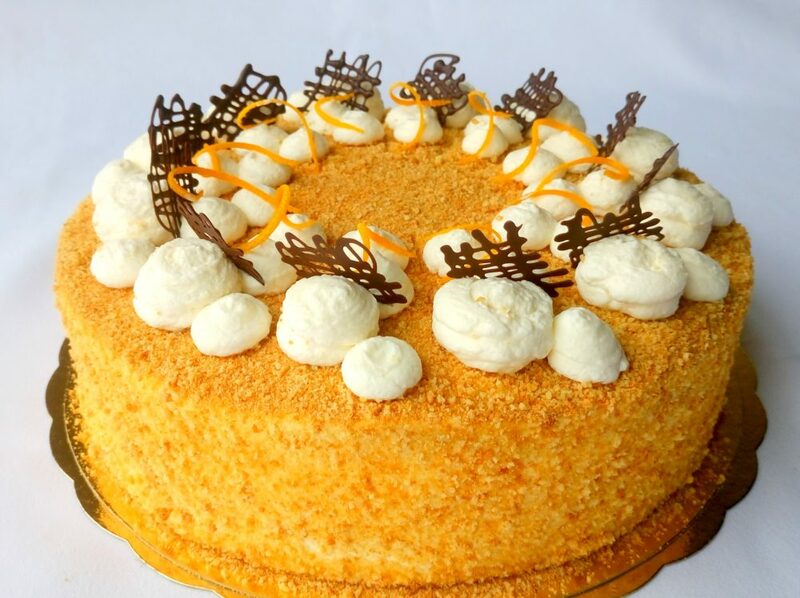 Classical layered honey cake with sour cream. Moist and delicious. 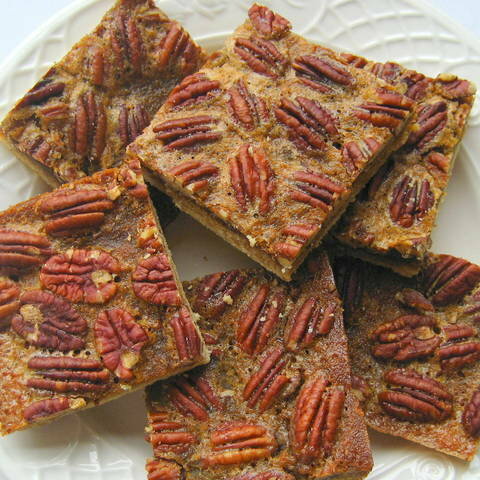 American-style pecan pie cut into squares with a hint of coffee to balance the sweet flavor. Perfect to enjoy with your morning coffee.